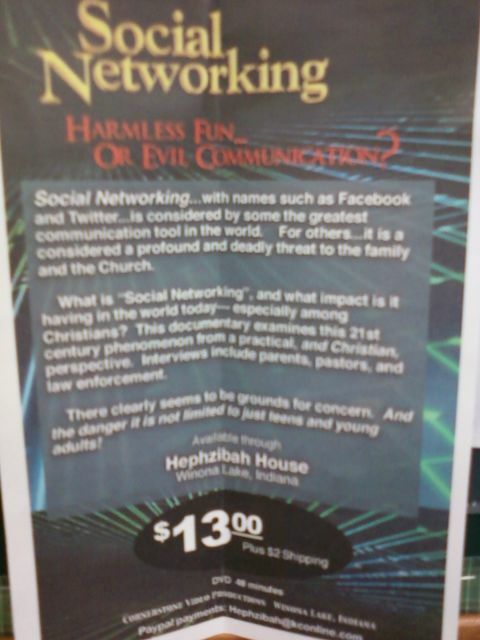 What is “Social Networking”, and what impact is it having in the world today…especially among Christians? This documentary examines this 21st century phenomenon from a practical, and Christian, perspective. Interviews include parents, pastors, and law enforcement. There clearly seems to be ground for concern. And the the danger it is not just limited to teens and young adults! I’m sure there’s nothing like the joy of attacking the new media that is exposing your secrets and abuses. There is something to fear on that poster — but it’s not Twitter. And what is up with all the ellipses? Update: Here is a link to a PDF about the Dangers of Social Media by Ron Williams reprinted from the “Hephzibah Happenings” newsletter. 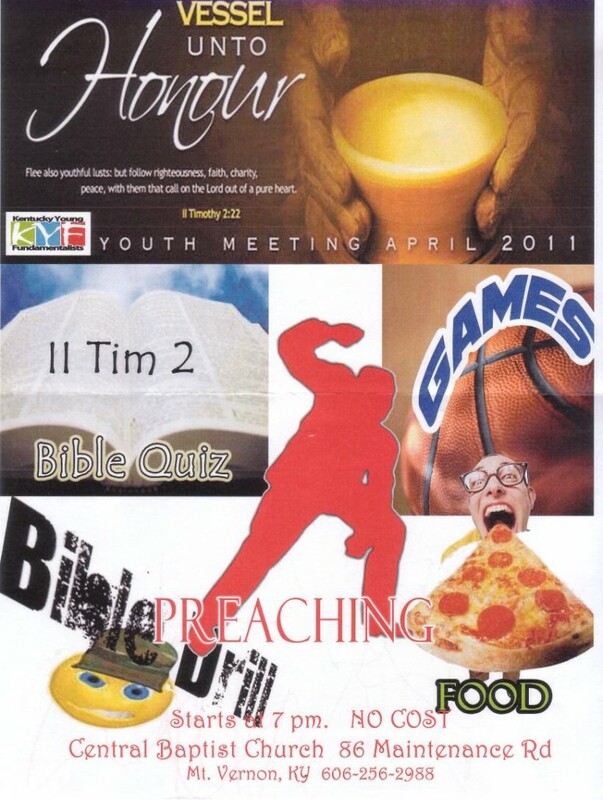 For your consideration here are some fliers from the Kentucky Young Fundamentalists, a ministry of Clay Mills Road Baptist Church in Lexington, Kentucky. Many thanks to reader dvdkndy for passing this material along. This photo was submitted by a reader who spotted this advertisement in the window of the Bob Jones University Bookstore. It’s a bit of a confusing one, considering that BJU is not a KJVO organization. Please leave your creative captions in the comments. 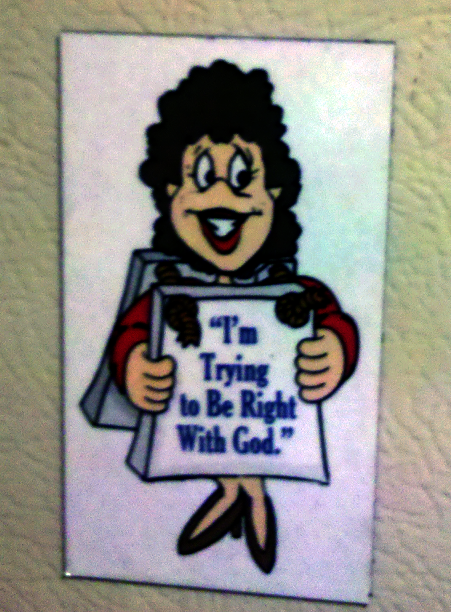 An alert SFL reader snapped this picture of a refrigerator magnet at the home of a fundy relative. I don’t think I’ve ever seen fundyism better summed up in a single image than this.